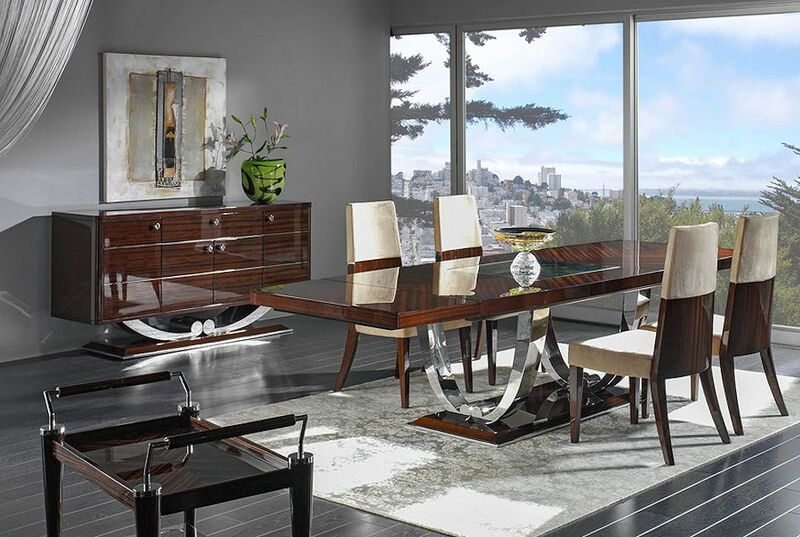 A stunning dining room set featuring high gloss lacquer finish and polished stainless steel accents. Shown w/ DT-338 Side chairs - $ 650 ea. 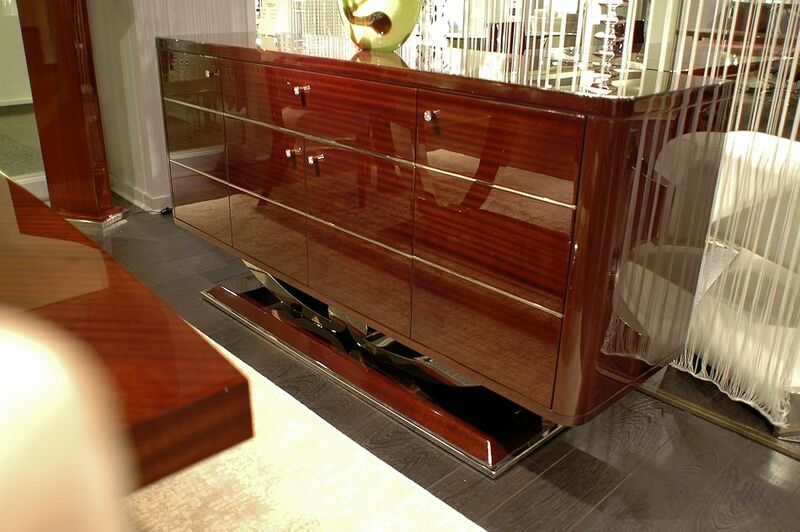 $ 3,950 - BF-338 Buffet in Sapeli High Gloss finish. 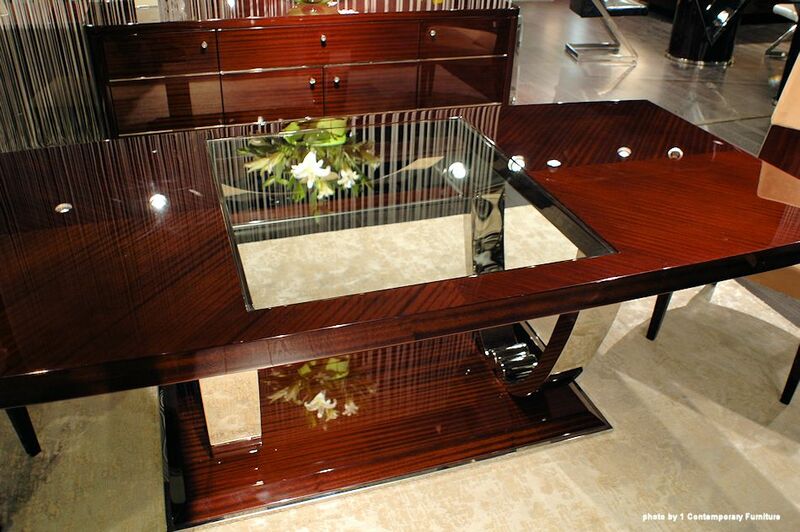 The buffet is breathtaking with the polished stainless steel legs.